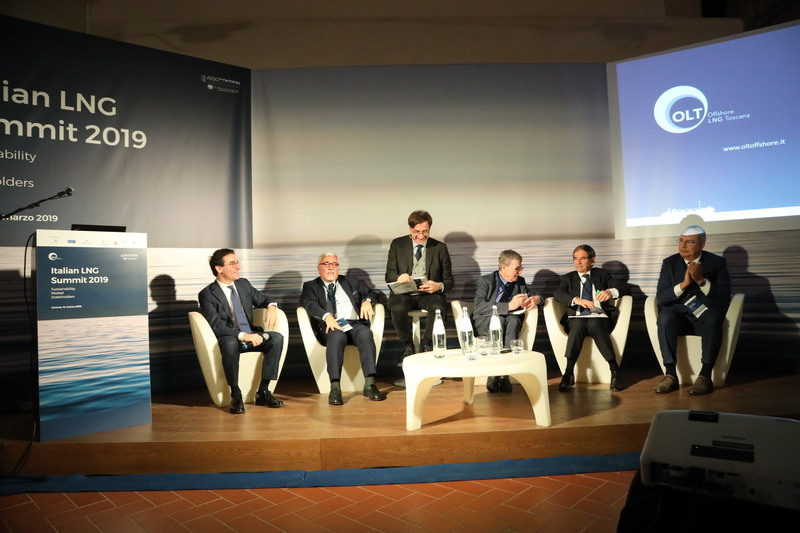 On March 14th the first edition of the Italian LNG Summit was held in Livorno. A national meeting which involved the participation of the most important institutions. The workshop opened with the institutional greetings, by the the Councillor responsible for Production of Livorno, Francesca Martini. As reported by Il Tirreno, she said: “Livorno’s harbor can become a national “pole” for bunkering and distribution of LNG: the natural gas is the cleanest fuel currently. To welcome this challenge means to give a perspective on economic, occupational and environmental development to the city and we, as Municipality, are ready to do our part”. During the meeting the 2018 Report on Security, Environment and Territory and the 2018 updating of the Enviromental declaration- EMAS, both documents testify how all the parameters linked to the environmental aspects (air, water and waste) are considerably below the limits of the law. The Society expressed its satisfaction for the obtainment of EMAS, the greatest acknowledgment in the field of environmental sustainability, which foresees the supervision of Authorities. The Summit disclosed that gas, LNG in particular, can play a fundamental role in the transition to decarbonization. In this scenario the projects of Small Scale LNG will bring enormous benefits to the transport sector (marine and terrestrial) and to Italian harbors. From this point of view OLT initiated the authorization process to offer the Small Scale service, which could mean the possibility for small cale carriers to take LNG directly from the Terminal. The plant renewal shall start in 2020, making the new service operative by 2021. Alessandro Fino – OLT’s MD- as reported by Quotidiano energia said: “everything depends on the authorization process”. OLT’s MDs expressed their satisfaction for the feedback by local and national institutions represented by Davide Crippa, the Under Secretary of the Ministry for Economic Development and Edoardo Rixi, Vice Minister of the Ministry of Infrastructures and Transportation. Watch the photos of the event on our photo gallery.